His breakthrough role in 2000 as real-life criminal and best-selling author Mark 'Chopper' Read was also laced with black humour, and over the last 16 years he has proved how game a jobbing actor he is, appearing in everything from superhero adventure Hulk to Spielberg's gritty drama Munich. He was drawn back to comedy because he’s a 'huge fan of Ricky Gervais' who wrote, directed and co-stars in Special Correspondents. 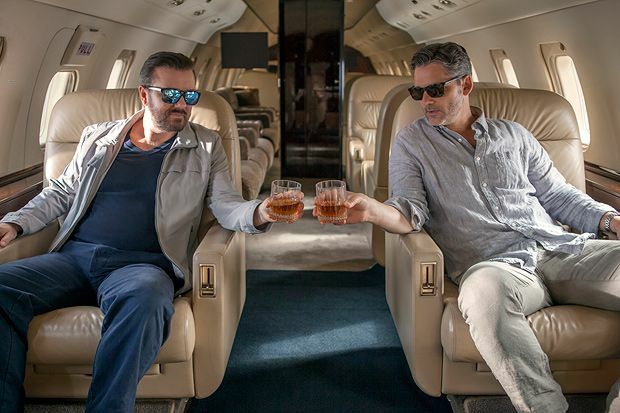 Special Correspondents premieres on Netflix, Fri 29 Apr.